Mary Frances Parrish shows her toppled pecan tree, which fell in a neighbor's house, in the aftermath of Hurricane Michael in Panama City, Fla., Saturday, Oct. 13, 2018. Mary Frances Parrish is expecting to be without electricity for several weeks, or roughly the same time the terminally ill son she's caring for is expected to live. "I'm planning on staying until someone comes to go to the door and tells me to go," she said, adding she's waiting for her social security check at the end of the month to help keep her going. "At my age it will be hard for me to get another job. I may not hold out here. I may just have to leave." 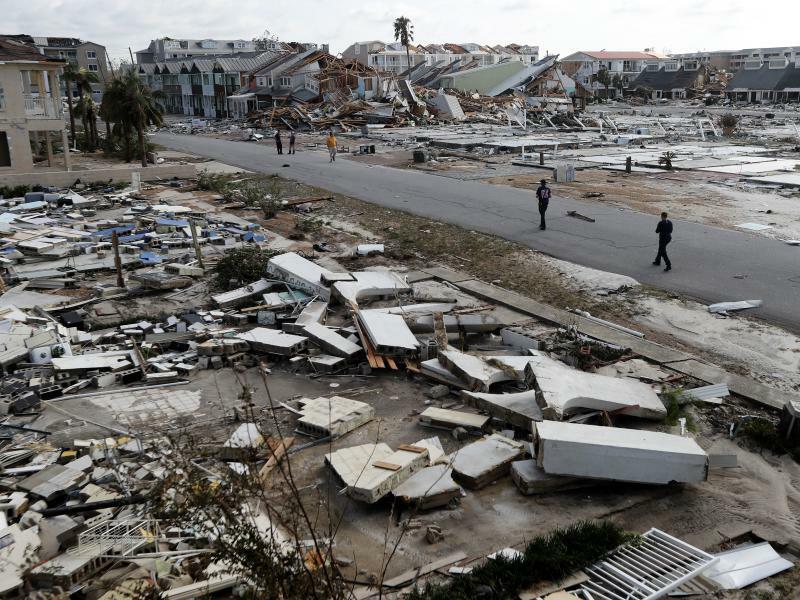 Further south in Panama City, Clinton Moseley, 55, was cleaning limbs and debris from the house he shares with his 81-year-old mother, Rebecca. An enormous tree crashed through the roof above one of the bedrooms of the house that's been in his family for a century. Water gushed in, but he said they're staying. "Where the hell do you go?," he said. "I survive. I got one leg. I survive ... I don't have nothing. I ain't going nowhere." Little lives alone in the house. She has insurance, but she doesn't have cell phone service to get ahold of her insurance company. She's disabled and her only income is Social Security. "I don't have anybody but me, and I've lost everything I've had," Little said. "I get enough just to pay my bills. I have $3 a month leftover." 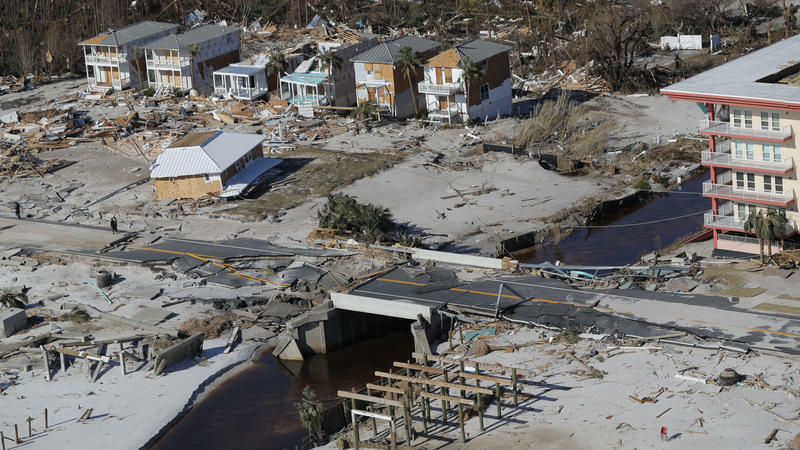 Federal Emergency Management Agency chief Brock Long is calling the damage left by Hurricane Michael some of the worst he's ever seen. Long toured several towns in Florida's Panhandle on Sunday with Gov. Rick Scott. Long said afterward the storm damage will require officials to help meet housing needs of displaced residents for the next several months.